I mentioned this in passing before, that Anne Lawrence had shown in 2010 that there was a very strong correlation with the Hofstede Individualism Index of a country and the percentage of “non-homosexual” (AGP) transsexuals vs. “homosexual”. Using seven new studies, she has shown that the correlation continues to hold in a paper published just this month. Now, you may be thinking, “ho hum, wasn’t this shown earlier”. Well, yes. But science is all about repeatability. 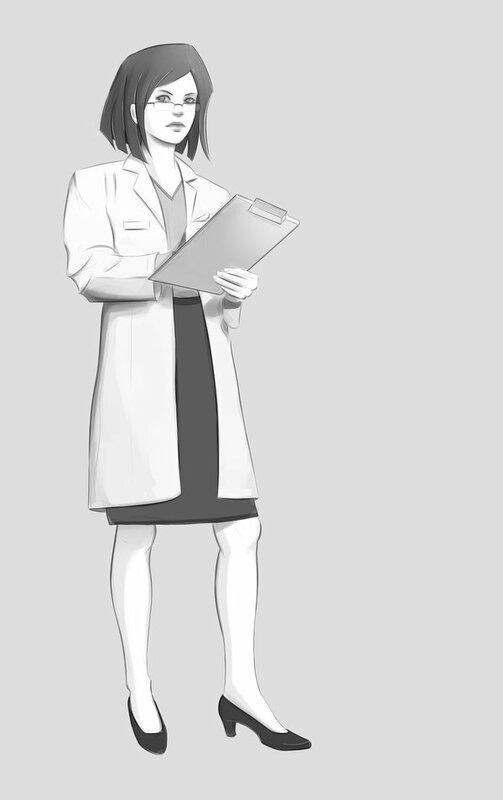 It could have been that the first study she did was just a fluke, that she had found a coincidence. But when later data becomes available with exactly the same correlation, it shows it wasn’t a fluke. 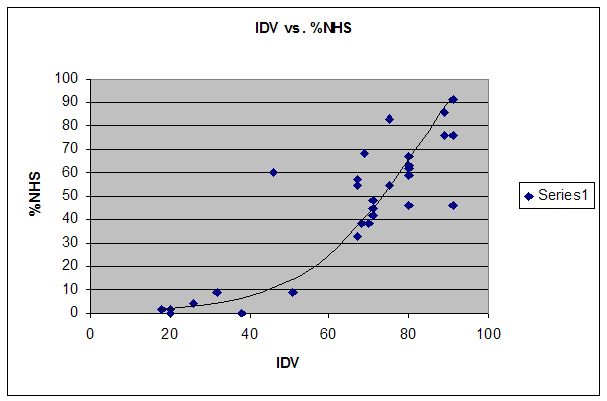 As I suggested previously, the observed relationship between IDV and %NHS probably reflects the combined operation of at least two distinct factors. First, non-homosexual persons probably constitute larger apparent percentages of MtF transsexuals and gender gender dysphoric persons in more individualist societies because these societies place a higher value on individual self-expression (including cross-gender expression), despite the possible socially disruptive consequences of gender transition in men who are typically middle-aged, are often married, and have usually pursued traditionally masculine occupations. Second, homosexual persons probably constitute larger apparent percentages of MtF transsexuals and gender dysphoric persons in less individualistic (or collectivistic) societies because these societies place a higher value on inclusion and often provide socially approved transgender roles for pervasively feminine, androphilic gender dysphoric men. I couldn’t resist playing with the numbers a little. Combining both papers’ data, the correlation between the Hofstede Individualism Index and the percentage non-homosexual orientation is r=0.866 which is very high. (For those that don’t love statistics and math, a perfect correlation would be 1.000 and no correlation at all would be 0.000 or “zero”.) It would be very surprising if the correlation were perfect, since nothing in real life is, but this is really quite high. Japan scores 46 on the Individualism dimension. Certainly Japanese society shows many of the characteristics of a collectivistic society: such as putting harmony of group above the expression of individual opinions and people have a strong sense of shame for losing face. However, it is not as collectivistic as most of her Asian neighbours. The most popular explanation for this is that Japanese society does not have extended family system which forms a base of more collectivistic societies such as China and Korea. Japan has been a paternalistic society and the family name and asset was inherited from father to the eldest son. The younger siblings had to leave home and make their own living with their core families. One seemingly paradoxical example is that Japanese are famous for their loyalty to their companies, while Chinese seem to job hop more easily. However, company loyalty is something which people have chosen for themselves, which is an individualistic thing to do. You could say that the Japanese in-group is situational. While in more collectivistic culture, people are loyal to their inner group by birth, such as their extended family and their local community. Japanese are experienced as collectivistic by Western standards and experienced as individualistic by Asian standards. They are more private and reserved than most other Asians. My hypothesis is that it is from the impact on family structures that this high correlation stems.